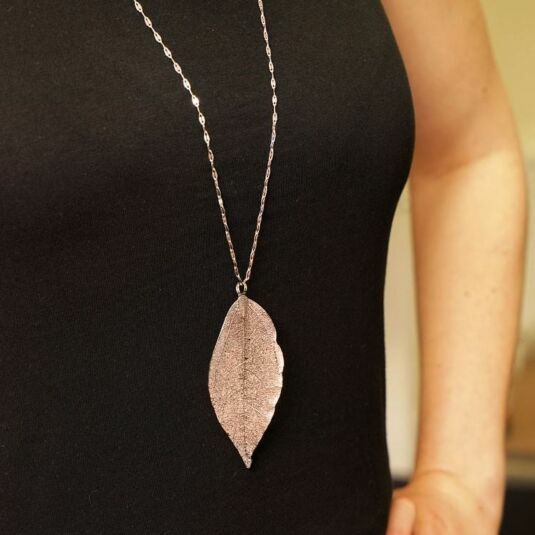 This strikingly beautiful platinum and rose gold piece is intricately detailed with a fine silver leaf, light to the touch and bold on the eye. A perfectly fitting accessory for both casual and formal outfits. 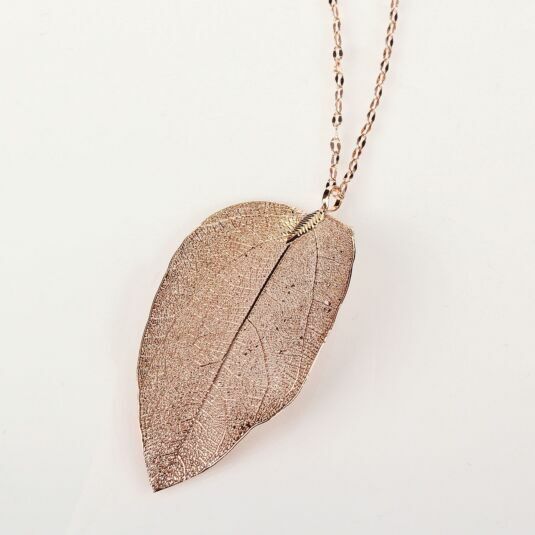 Almost weightless, this necklace holds an 80cm silver link chain, to hang the focal leaf without drag or weight. Fastened using the simple hook and clip mechanism and finished with a silver rear hanging Equilibrium emblem, this platinum necklace will make the perfect and most precious gift a woman could ask for. 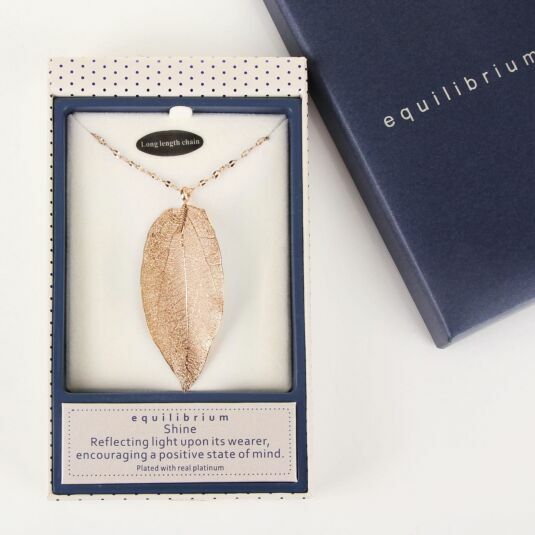 This necklace is beautifully presented in a striking silver Equilibrium branded gift box. Please note: the shape of the leaf may vary slightly.